The issue of disclosure when CCTV cameras are in operation is quite a tricky one because it’s not that easy to find definitive answers. Federal and State laws generally regulate filming and distribution but these vary from jurisdiction to jurisdiction and contain different requirements and recommendations for private and workplace surveillance. These laws also haven’t kept pace with the rapid rise of technology and the popularity of social media platforms which encourage the sharing of visual material. So, unsurprisingly, there is a lot of confusion surrounding disclosure with regards to CCTV and it is always a good idea to check with authorities and get qualified assistance before you install any type of camera system to ensure compliance. In the meantime, you may find the following general information helpful. 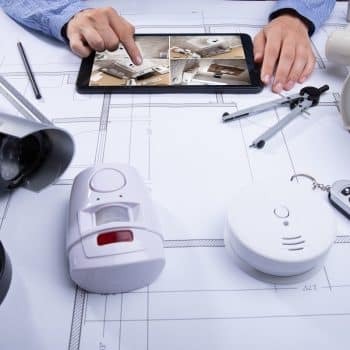 As a rule, in a workplace or public space, you must take reasonable steps to tell people that there is a camera surveillance system in place and the reasons why it is in operation. A good way of meeting these obligations is to have some prominent signage near where the cameras are being used as well as additional signs positioned near each camera. This will alert people that they are being filmed and for what purpose and should avoid any accusations that the surveillance was covert or unfair. That said, it isn’t always a requirement to alert people that they are on camera. People can be filmed using visible CCTV and phone cameras without their permission (even if they haven’t been forewarned of the presence of cameras) if surveillance is clearly in the public interest. As mentioned earlier, legislation governing the use of surveillance in the workplace differs from state to state. The laws are many and varied and the confusion and uncertainty around the issue is exacerbated by the absence of a national standard. For example, New South Wales has legislation which deals directly with the installation and use of workplace surveillance devices, whilst the ACT, Queensland and Tasmania have laws which mention listening devices, but not cameras. Things are different still in Western Australia, where CCTV installations are covered by the Surveillance Devices Act 1998 (WA) and the Privacy Act 1988. The Privacy Act doesn’t actually specify rules for workplace surveillance but it does regulate how recordings of employees are collected and handled, and states that employees must be notified before installing and activating CCTV cameras in the workplace. Put up signage telling staff and visitors of the surveillance. Don’t install cameras in private areas such as toilets or change rooms. Putting up CCTV surveillance on your private property is fine as long as the cameras aren’t being used to ‘spy’ on your neighbours. Some councils may require planning permission for CCTV so always contact your local authority before making any investment. Some domestic residential properties, such as strata titles may have additional constraints and you will need to contact the governing body which represents the owners and occupiers of the complex before you install CCTV cameras. The rules for these types of developments are generally based on the principles of common sense and should be reasonable and fair. Some useful websites to look at with regards to privacy laws and workplace surveillance are the Office of the Australian Information Commissioner (https://www.oaic.gov.au) and the Australian Law Reform Commission (https://www.alrc.gov.au/). You should also check out your local government’s website and discuss any concerns with your local councillor. Remember, CCTV cameras can only be installed and maintained by someone who has the appropriate training and who holds a valid security installer’s licence. At Crown Security, all of our CCTV technicians hold licences issued by the WA Police and all undergo ongoing professional development to ensure they are up-to-date with the latest technologies and requirements. To see our extensive range of CCTV cameras, surveillance solutions and security systems and security cameras in Perth, please visit www.crownsecurity.com.au or give our friendly team a call on 08 9400 6000.